How did the soldiers of the Wehrmacht really experience the attack on the Soviet Union and the battles that followed? Few of the books on the subject of the war in Russia provide an honest answer. This book delivers a real view of events. Assistenzsarzt Dr. Türk’s unabbreviated diary entries from the year 1941, supplemented by documentary supporting text, 40 color maps, and a large number of his color slides represent a unique documentation. It provides an exemplary and genuine view, unaffected by postwar influences or a selective choice of materials, of how many soldiers of the Wehrmacht perceived the first half year of the campaign in the east. Take part in the attack near Brest-Litovsk, experience the fierce fighting at the Beresina and the Dniepr, march south with the division to close the Kiev pocket, and prepare for the assault on Moscow. Then follows the advance on Orel, and the arrival of the snow and cold. You stand with the soldiers in the icy trenches in front of Tula and witness the house-to-house fighting in the mining town of Bolokhovka. One cannot escape Dr. Türk’s haunting diary entries. They do not spare the reader, instead they provide extraordinary insights and allow the reader to feel the events as they were. Here one can read what father and grandfather experienced in the Russian campaign but never spoke of at home. This book will hopefully spur those born later, those who were spared this inferno, to reflect, for the majority of the frontline soldiers in Russia did not go voluntarily into this struggle. The story of the “Brandenburg” Panther Battalion and its prior history as I Battalion of Panzer-Regiment 26 played out against the background of the everywhere collapsing fronts of the final year and a half of the war. The reader takes part in the fighting withdrawals in the vast steppe landscapes of southern Russia and Rumania and the battles on the East Prussian border and in the Baltic States. 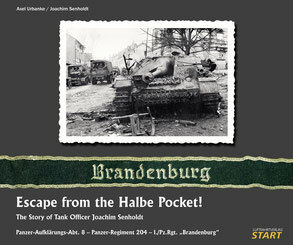 He is encircled with the battalion in the Memel bridgehead in East Prussia in late 1944 and experiences the relief attempt towards Budapest in late 1944 - early 1945. 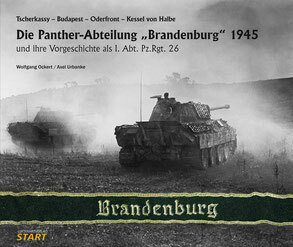 Finally, in February 1945, follows the transfer of the renamed battalion to the Oder Front near Küstrin, where the Panthers were one of the last panzer battalions opposing the Russian drive on Berlin. The descriptions involve the reader, not only in the battalion’s actions, but as well in the overall events at the Oder in the final weeks of the war. He directly experiences the collapse of the entire Oder front, the retreat and destruction in the Halbe Pocket. The descriptions are so vivid and powerful that one cannot escape the drama of the events. Whoever wants to understand what happened back then can take a journey through time with this book. Based on ten years of research, this is a book that rises above the many other books about panzer units and the final months of the war. More than 200 action photographs from every front, almost all of them previously unseen, and 27 color maps supplement the text. This is a unique documentation which, once again, took advantage of the opportunity to allow the last eyewitnesses to speak. This book is the first in a series of publications entitled Photographs by Soldiers that will be produced by our company. Each will be based on photographs taken by individual participants in the war, accompanied as required by more or less extensive text. The photos, along with surviving diary entries or letters, will be set against the overall framework of events. Supplementary photographic material will be used sparingly and only when there are gaps that must be filled to assure overall continuity. The series is intended to allow the reader to understand the war from the subjective point of view of the individual soldier. When necessary, letters and diary entries will be supplemented by footnotes to explain phraseology or concepts from the period. Volume 1 in the series focuses on Hans Becker. Attached to the headquarters staff of the 8th Panzer Regiment in Africa in 1942-43, he extensively photographed frontline operations there. After he was wounded, he was flown home, and after recovering from his wounds, in autumn 1943 he joined the 508th Heavy Panzer Battalion during its formation. Soon afterwards, the battalion commander tasked him with “recording the battalion’s path photographically, to illustrate the war diary”. 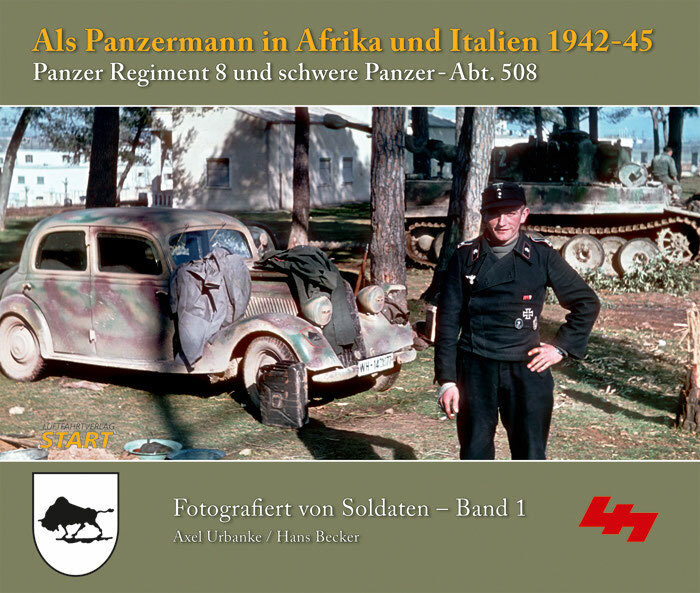 Hans Becker therefore also photographed the Tiger unit’s actions in Italy in 1944-45, both in black-and-white and color. Hans Becker’s photographs are well above average, both in terms of subject selection and quality. Happily his diaries and letters to his wife were also made available to the author. 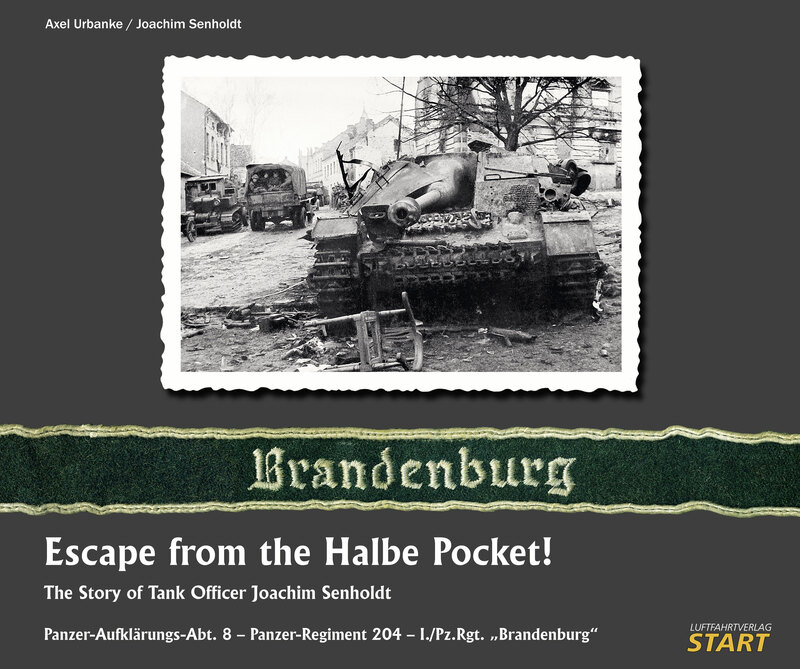 The result is an impressive account of operations by two panzer units from the point of view of a member of the headquarters staff, who in part had insight into decisions. Hans Becker not only captured images of tanks, but also other elements of the two units in action and neighboring units, as well as the theaters of war and life behind the front. The book is thus a general photo book covering the fighting in North Africa and Italy from 1942 to 1945. This large-format illustrated volume is the first hardbound book to be published by Luftverlag-Start. 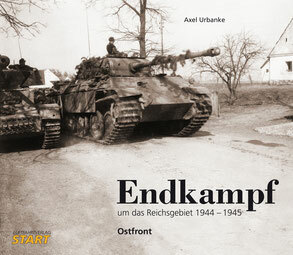 Comprising about 160 pages, with unique and previously unpublished photographs, it portrays the battles fought by army units to defend the frontiers of the Reich. The 186 illustrations, thereof 23 in color, are all operational photos from the German side and not Allied postwar photos. Most were taken by German soldiers during the final battles and thus represent unique photographic documents, for by then film was difficult to obtain and photography rare. The black-and-white photos are supplemented by three rare color photos, also taken during the fighting. The photographs, accompanied by extensive and detailed text and maps, are reproduced to the highest possible standard on good quality glossy paper.